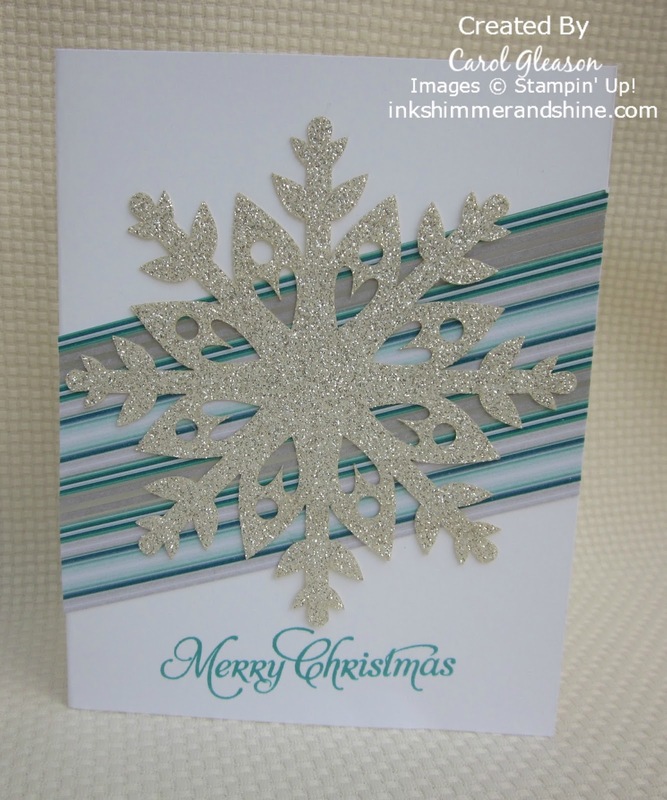 Christmas Bliss Archives - Ink, Shimmer And Shine! Home Posts tagged "Christmas Bliss"
Happy Labor day weekend! I love LOOOONNNG weekends, and this weekend is no exception. Having that extra day off from work allows me to do most of the things that ‘need’ to be done, and still have time to PLAY! I hope you have some time to play this weekend as well. 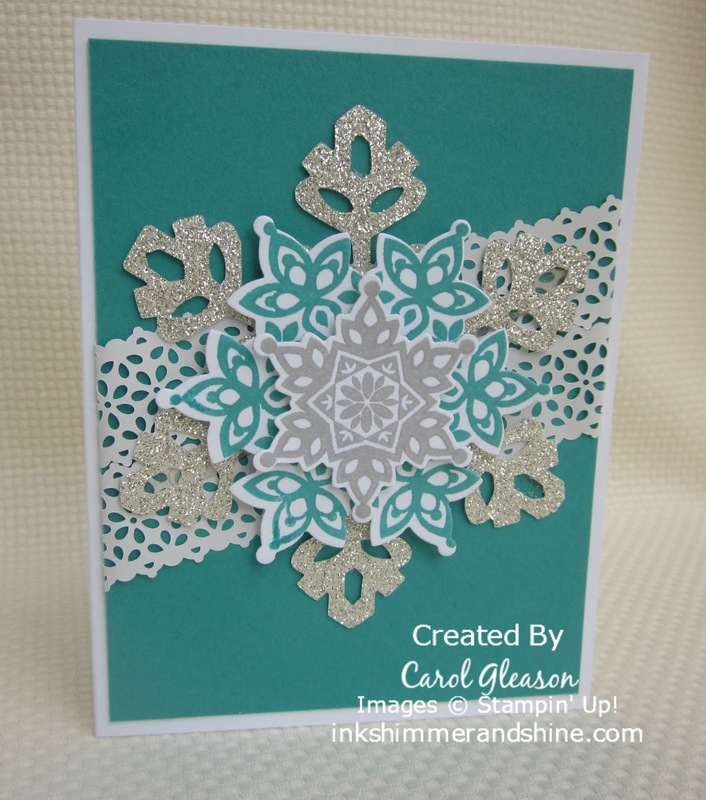 I had just purchased the ‘Happy Holidays’ issue of CardMaker magazine too, so I was inspired to start creating some Christmas designs. 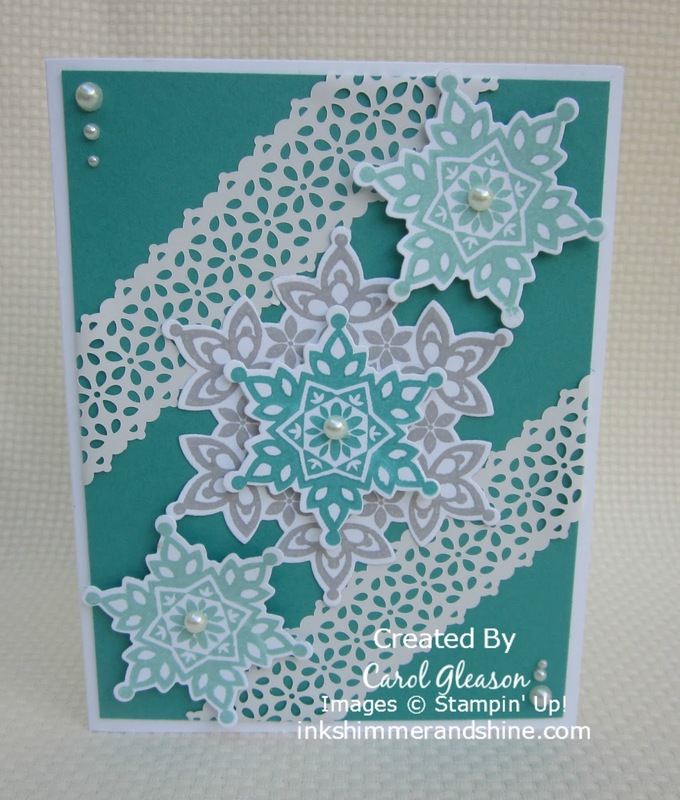 I really love the colors from the Stampin’ Up! Winter Frost Specialty Designer Series Paper (Bermuda Bay, Coastal Cabana, Island Indigo, Pool Party, Smoky Slate & Whisper White), which is sadly retired now. 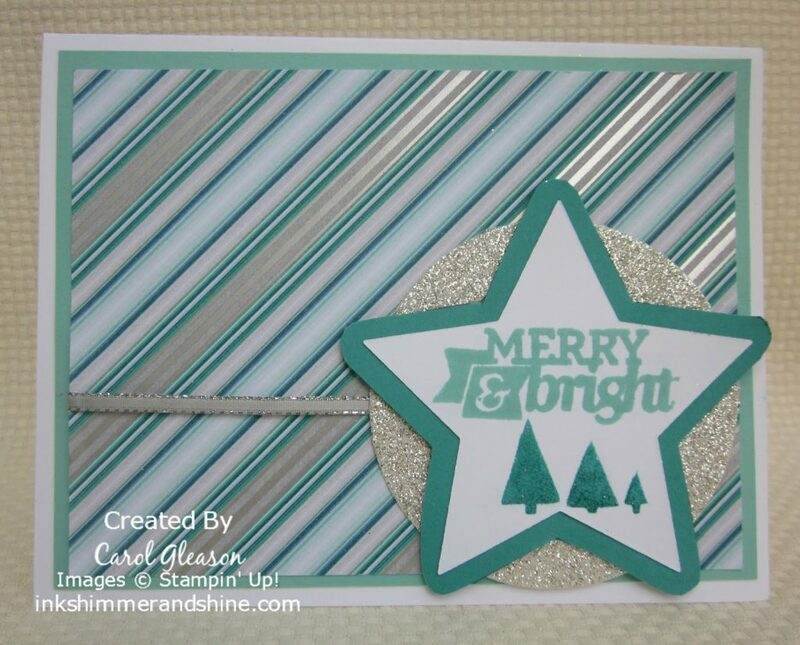 With all the hustle and bustle of the holidays last year, I didn’t have nearly enough time to use it! I had a lot of fun playing with this sketch! Won’t you play along? You have until tomorrow at noon (CST) to link your creation to the challenge. While you’re there, be sure to check out all the other great designs.